Disponibilidad: In stock on April 22, 2019. From the joy of painting, Bob Ross, as a stylized pop vinyl from Funko! Stylized collectable stands 3 ¾ inches tall, perfect for any Bob Ross fan! Collect and display all television pop! Vinyls and let our Bob Ross pop! help you paint some happy little trees! 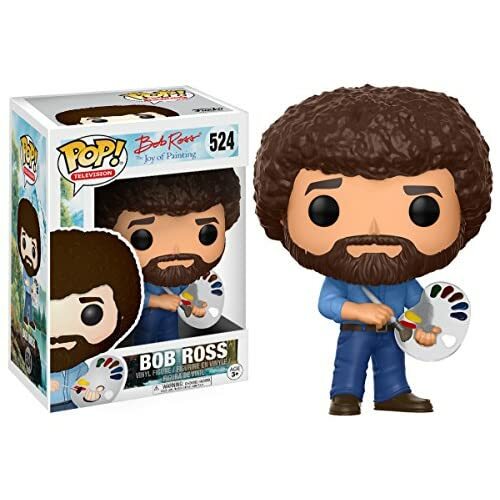 From the joy of painting, Bob Ross, as a stylized pop vinyl from Funko! figure stands 3 3/4 inches and comes in a window display box. Check out the other television figures from Funko! collect them all!